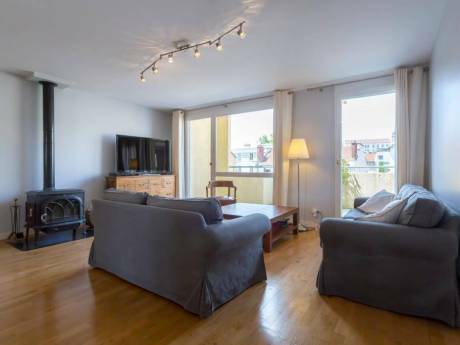 Our house is on 2 1/2 levels, comfortable and spacious, furnished in Scandinavian style. It contains a very modern kitchen, 2 double and one single bedrooms, 2 offices, a den/TV room, a living-dining room and a large veranda. The house has several terraces and a balcony and is set in a large private garden with many trees. We are Henk and Eva, keen travellers who have also lived in several countries. We work part time as consultants, in IT and international policy respectively. We enjoy going to the southern hemisphere in our winter and have done several house exchanges. A house exchange need not be simultaneous. If you have a secondary residence or private guest quarters, we can offer a bedroom with its own shower room, tea kitchen, fridge, private terrace and separate entrance. 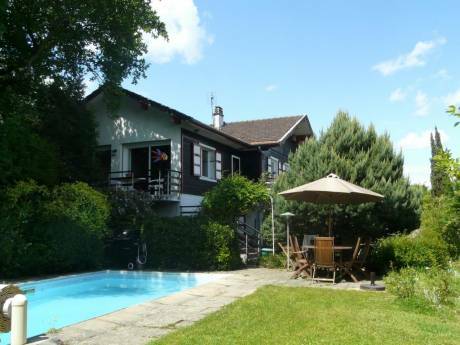 The house is located in a quiet suburban/rural area a few kms from Ferney-Voltaire (France) and Geneva (Switzerland). 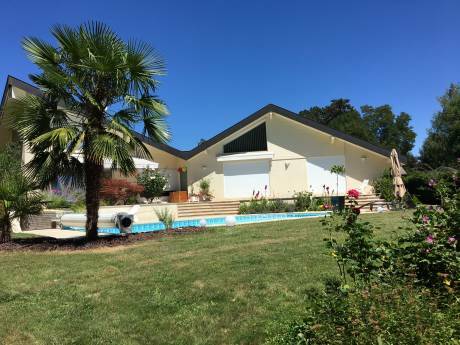 We are situated between the Jura mountains (10 kms) and the Alps with easy access to hiking and skiing. There is a bus service to the centre of Geneva. The airport, with a railway station, is 5 kms away making exploring the rest of Switzerland very convenient. Ferney-Voltaire is a small historic town on the border with Switzerland with a large outdoor Saturday market. Geneva has a rich cultural life with many international organisations, museums restaurants and cafés.